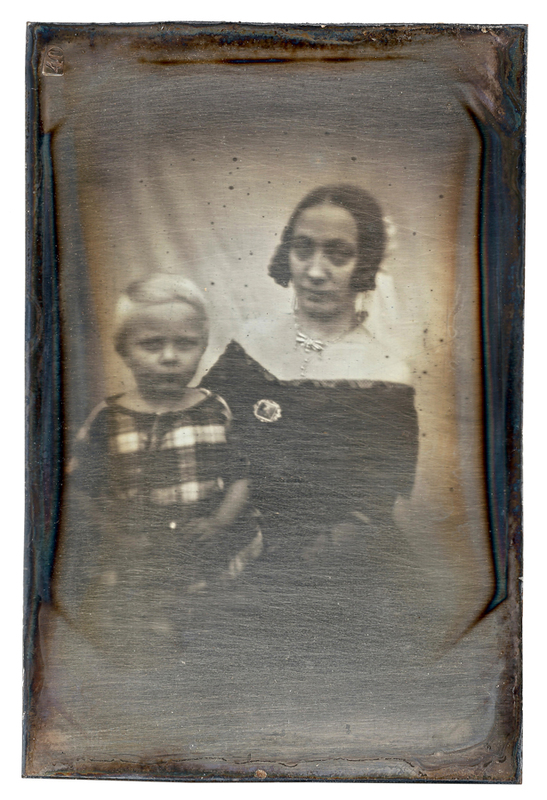 Early image of a woman with a boy on her lap. a beautiful necklace. 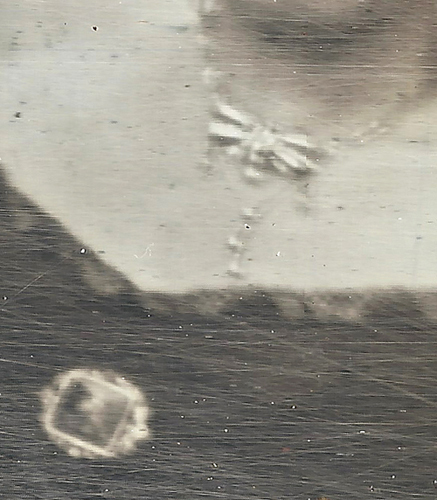 She's wearing a large bow or veil in her hair. The light source was directly over them, casting shadows on their eyes. The backdrop is a simple white curtain and they're slightly out of focus.